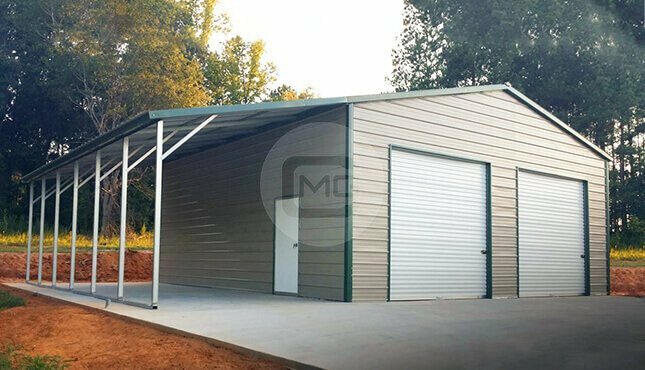 Lean-to GaragesAt Metal Garage Central, we provide excellent customization options and the best prices for lean-to metal garages. 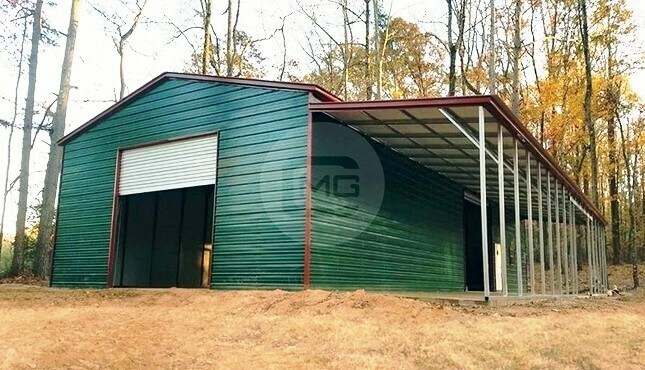 You can choose from a wide range of colors including burgundy, barn red, slate blue, evergreen, and sandstone so that your new metal building will blend in nicely with the exterior of your home and other structures. A lean-to is basically a roof design in which a roof is slightly sloped towards one direction, and the lean-to is either connected to another building or can be built free standing. A metal lean-to garage works great as a carport, garage, office space, or whatever. 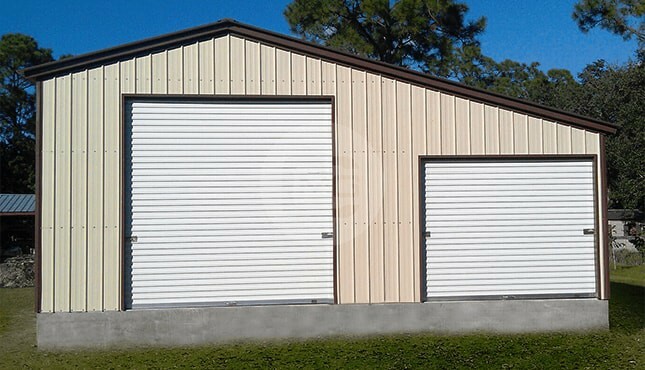 A metal garage with lean-to provides a classy look to your home. 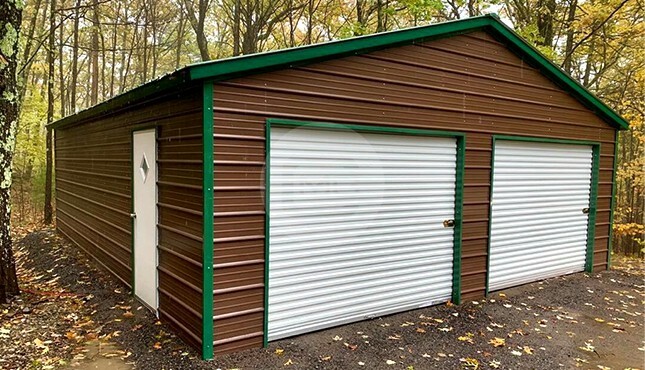 Lean-to garages are typically designed as garage buildings with one or more lean-to extensions added on the side. They are a great, cost-effective way to create both enclosed and open-air storage space for a multitude of needs and applications. 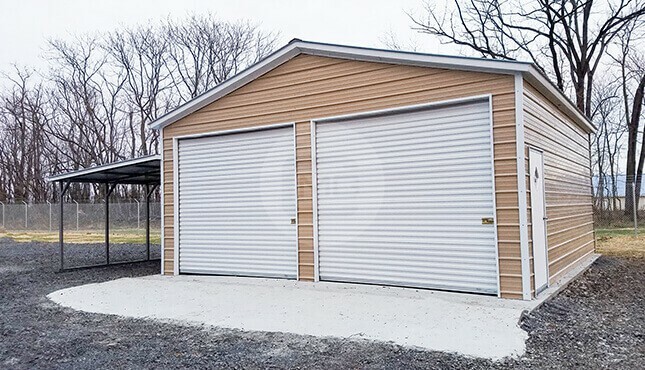 The main garage building comes with a choice of roof style options including regular roof, boxed eave roof, or vertical roof, while the lean-to comes with a simple slope roof that allows rain and snow to slide off easily to one side. What colors to pick for your lean-to garage? With Metal Garage Central that’s entirely up to you, including the ability to choose from attractive two-tone options. Depending on the manufacturer that we use to service your local area, there are currently up to 18 different color selections available. If one of your goals is to help your garage blend in with your home or other surrounding structures, we almost certainly have color choices that will make that possible! Perhaps you want to custom design your garage yourself. Our friendly and knowledgeable building specialists would be glad to help you through that process. Or if you prefer, you can REALLY design your lean-to carport yourself, from the comfort of your couch! With our powerful, easy-to-use 3D Estimator – accessible from any device, including tablets, iPhones and Androids – you can design your building, save your design, share it on social media, and even complete your order, all online! And did we mention? 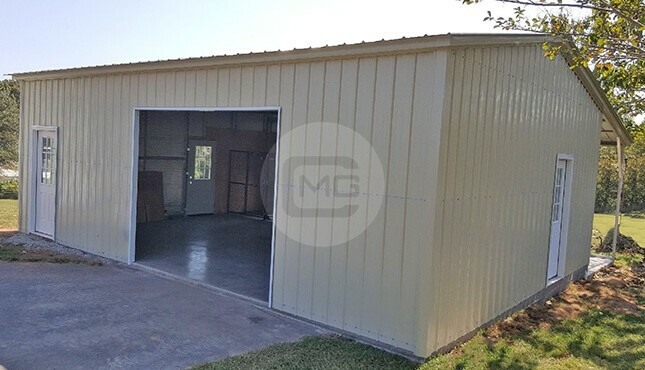 Delivery and installation of your metal building comes FREE with standard purchase at Metal Garage Central, and our team of professional installers can usually get most structures up in just one day! The only requirement on your part is to ensure that your site is level before we perform the install; note that we don’t provide any concrete or groundwork. Metal is easier to clean and requires less maintenance than stick-builds or other structures. And since the color is infused into the metal, you don’t have the same peeling or fading paint issues, either. Steel buildings don’t rot like wood and can stand up to constant use and extreme weather, including high winds, heavy rains, accumulating snow, lightning … and even earthquakes! The metal paneling can also be coated with aluminum compounds to help further prevent rusting and prolong the life of the panels. Steel isn’t susceptible to termites or other pests, and doesn’t harbor mold or mildew. Steel is also incredibly fire resistant. The versatility of steel allows for more complex architectural designs and more clear-span interior space. 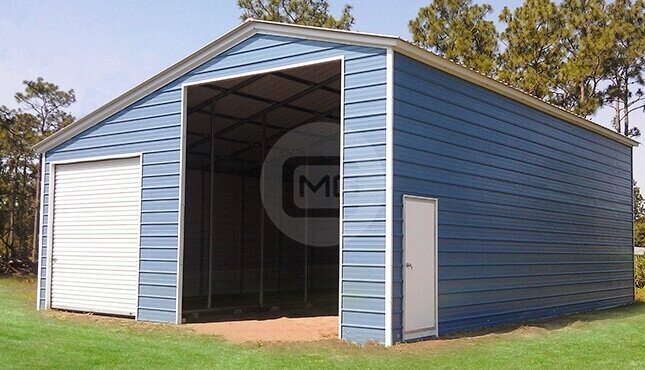 It’s easier to expand metal buildings as your space needs grow, too. 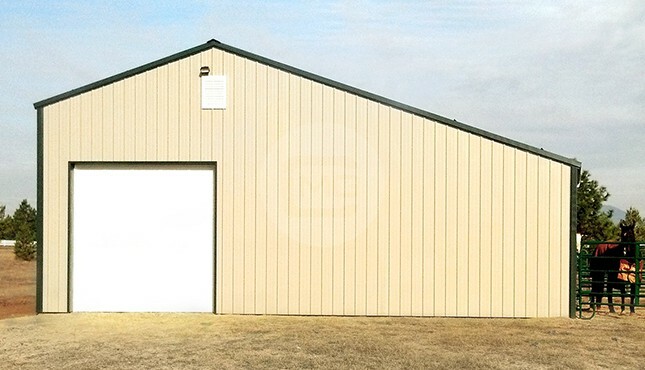 Thanks to superior strength, durability, and fire resistance, your insurance costs may decrease if you choose a steel building over other options. 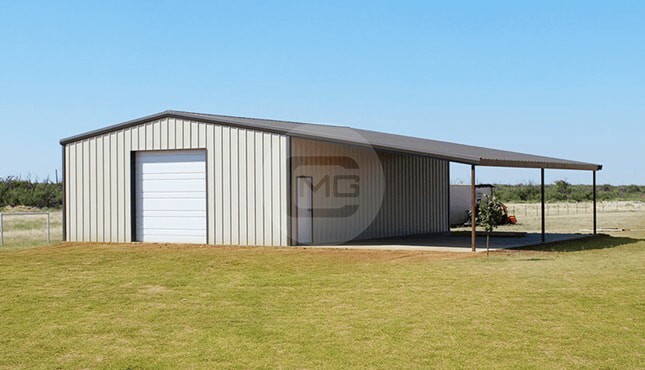 That’s another cost benefit you get by choosing a structure from Metal Garage Central! Our friendly, knowledgeable building specialists are here to help! We’re happy to walk you through the whole process, from design to ordering to production to installation. 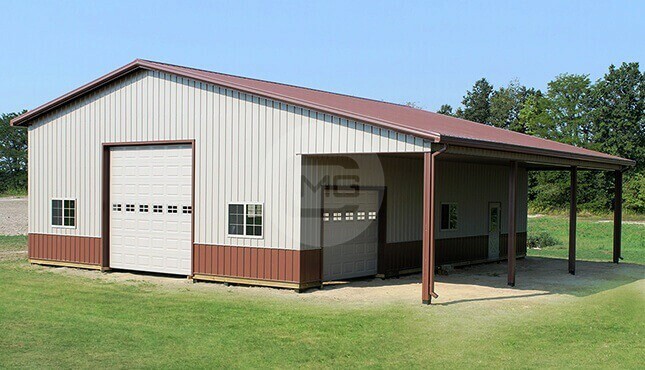 Check us out online at Metal Garage Central, or give us a call at (980) 321-9898 and let’s get started on designing the lean-to garage of your dreams today! Select the building from our wide range of collections. Talk to our expert to customize it for your needs.